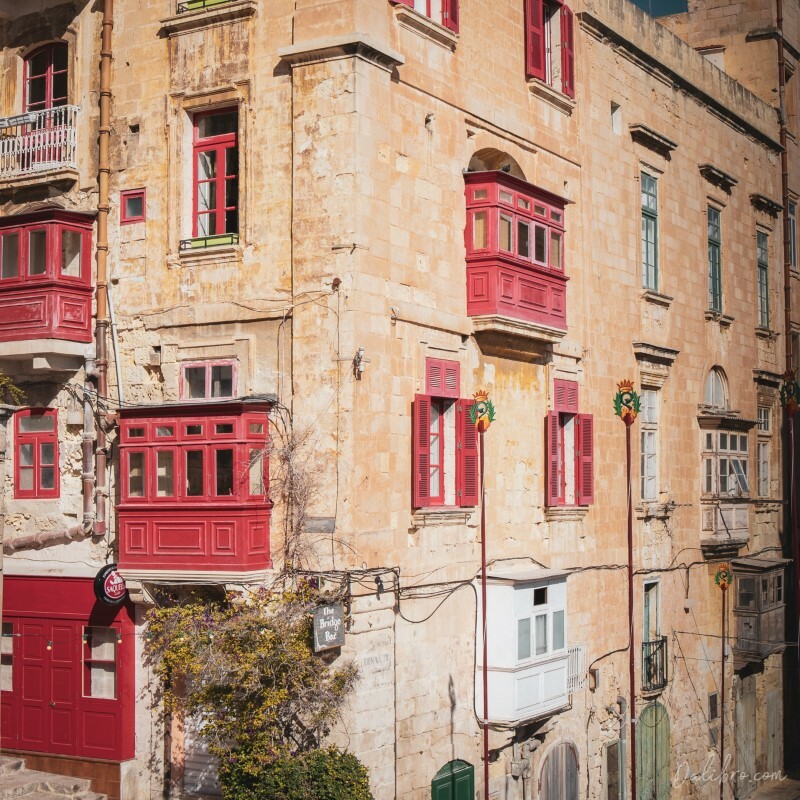 Triq Zekka is a long street finding its way from the west to the east through the entire Old Town of Valletta, Malta. It creates a nice effect as it starts on a hill in the western part, goes down in the middle and then rises again. 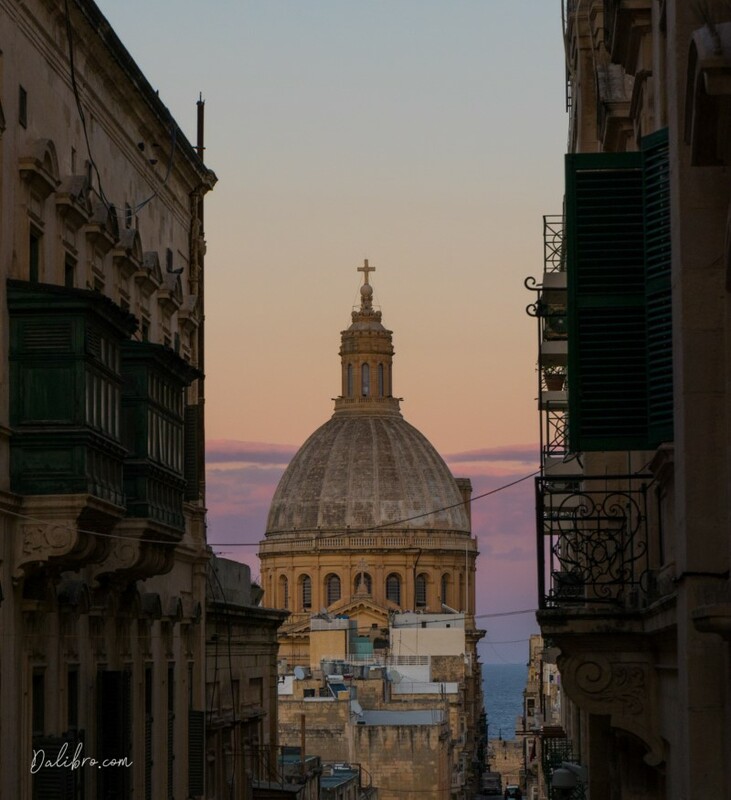 The street creates a perfect leading line to the point of interest – the Dome of Our Lady of Mount Carmel, a symbol of the city. That is really the cherry on top! There is one tiny drawback – the street is relatively dark in comparison to the sky, so a good dynamic range or post-processing will be necessary (see my previous article, where I talked about Dynamic Range). My MacGyver-quality solution was a polarizer, which did surprisingly well and darkened the sky OK. In the evening, you may get some really amazing sky in the background. Triq Zekka Street in Valletta, Malta, in the evening – sky bursting with colors! Yes, that’s right. One of the best spots in Valletta for photography is a parking lot. I can assure you that not much is going on in terms of tourists and just look at that view! Perfect location for sunset. Plus, there is a restaurant called Giannini right there, which is supposed to be really good. Grab a ‘ftira’ (traditional, sandwich-like or pizza-like street food) and take a random stroll through the old town. Always look up – there are so many of these beautifully vintage colorful cool balconies around! From the photography equipment – having a wide lens with you is definitely a good idea, as there is usually not much space in the streets. And as usual – a tripod is useful if you want to keep your images noise-free. Balconies, balconies, they are all over the place and give unique character to the city! Would you believe this one below is actually a bar in the southern part of the Old Town? It’s called Bridge Bar, it has quite a vibe, people often stand or sit outside enjoying their drinks and it seems to be on a bar bucket list (is there such thing?) of everyone visiting the city. Still – seriously cool location. This one is not only a beautiful building covered with cute little red balconies but also a bar called Bridge bar. Alright, I realize, this one is not for everyone. Which is why I marked it as +1. But! If you’re lucky enough to get a room with a balcony at hotel La Falconeria, you won’t regret a penny. * By using this link, you and I will receive a discount on the next stay booked via Booking.com. My accommodation recommendations represent only my honest opinion and are not sponsored. 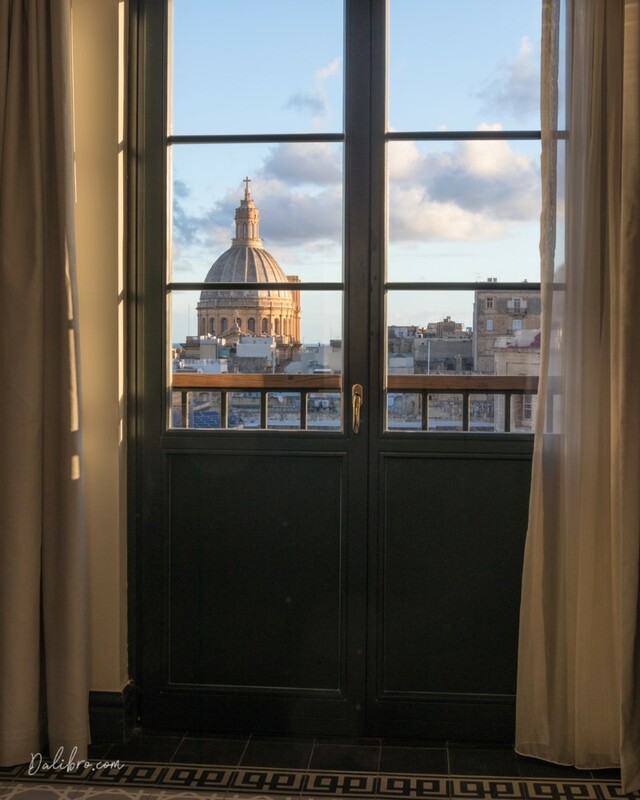 I enjoyed sunrises from the room in particular. Normally, photographing a sunrise somewhere involves getting up really early, traveling and hiking in the dark and so on. Here, I only had to get out of my decadently comfortable bed, set up my tripod on the balcony and enjoy the luxurious view. One last tip. Unless you want to go for a swim, Malta is a year-round destination. It can get really hot in summer but winters are mild and moist. So don’t be afraid of going in winter. All my pictures were actually taken in January! Wow, die Seite sieht obermegagut aus! Amazing photography! Make me feel a need to visit there now. I love cities with architecture like these. 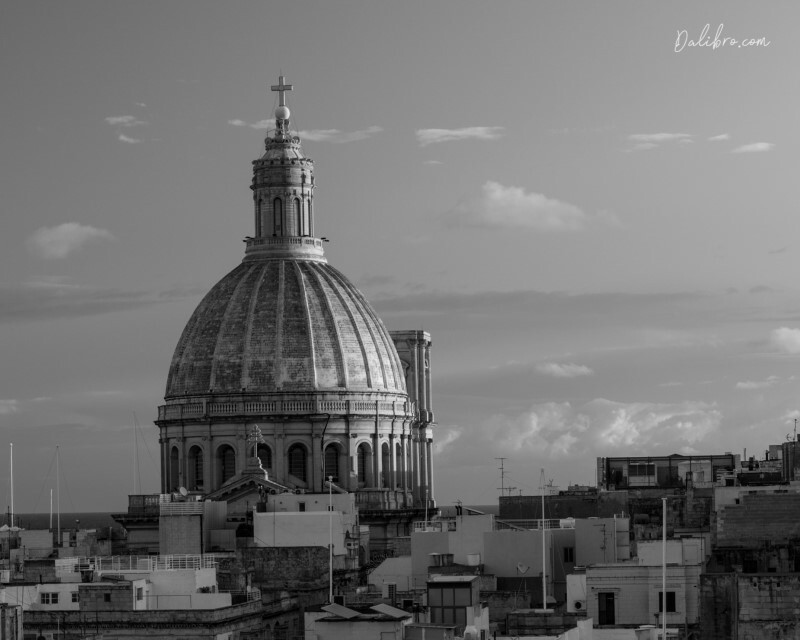 I really enjoyed Valetta and its stunning architecture when I went 6 years ago. Great pics! Nice to hear that! Maybe you’ll visit it one day! Thanks, Luda 🙂 Yeah the balconies are really everywhere and so cute! Breathtaking photos! Makes me want to go book my ticket right away! I always wanted to visit this place so badly! Now I can’t wait! All the spots are gorgeous, so many stunning views! I loved the balconies! This place is so magical and dreamy! Yes, it’s such a colorful place, bursting with history, too! I loooved the short time lapse video and got an amazing flavor Valletta. The place looks fabulous and so arty in its own way! The colors so vibrant would be an immediate mood up-lifter. While I love the pictures a lot, can you share some tips on making such a wonderful video 🙂 ? 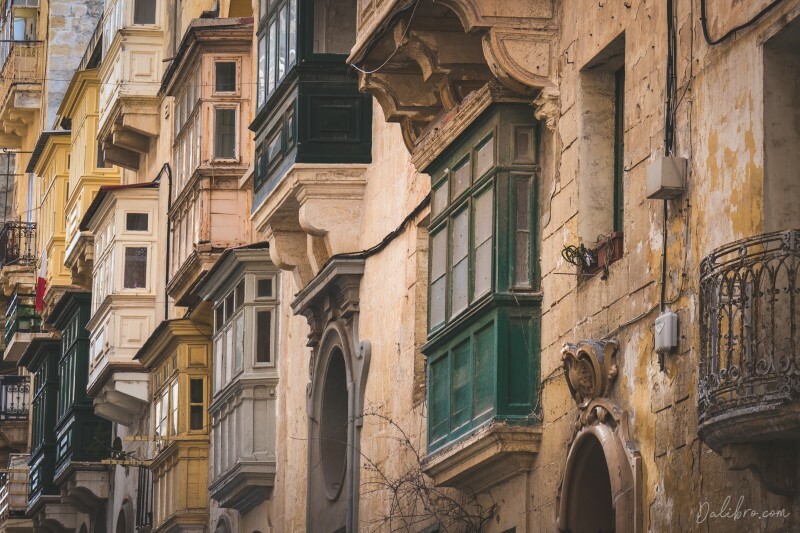 Yes, Valletta is such a mood-booster, especially in winter! Time-lapse setting is available on many modern cameras, action cams and even smartphones. For the GIF, I used ezgif.com, it’s very simple. 🙂 I might be writing an article on this topic soon! Thanks for stopping by! Wow your photos are gorgeous you are so talented! And that time lapse video is so cool! Lovely spots, views are beautiful. And I really liked the timlapse at the start. What was it shot with? I consider punting some of timelapces to my blog, but my camera doesn’t do them well. You are a very talented photographer! May I ask what camera you are using? I am looking at upgrading mine! 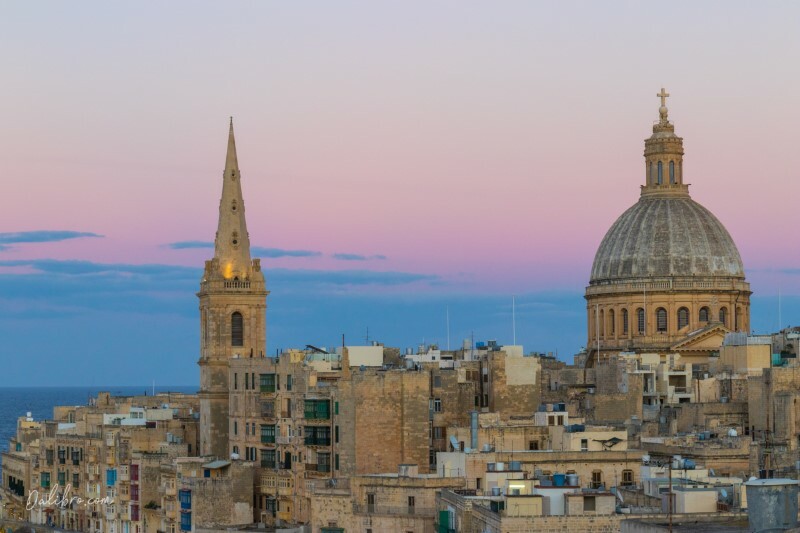 I absolutely adore Malta on the whole, Valletta in particular! The architecture is incredible, I love all the balconies and the mix of histories going back through the centuries. 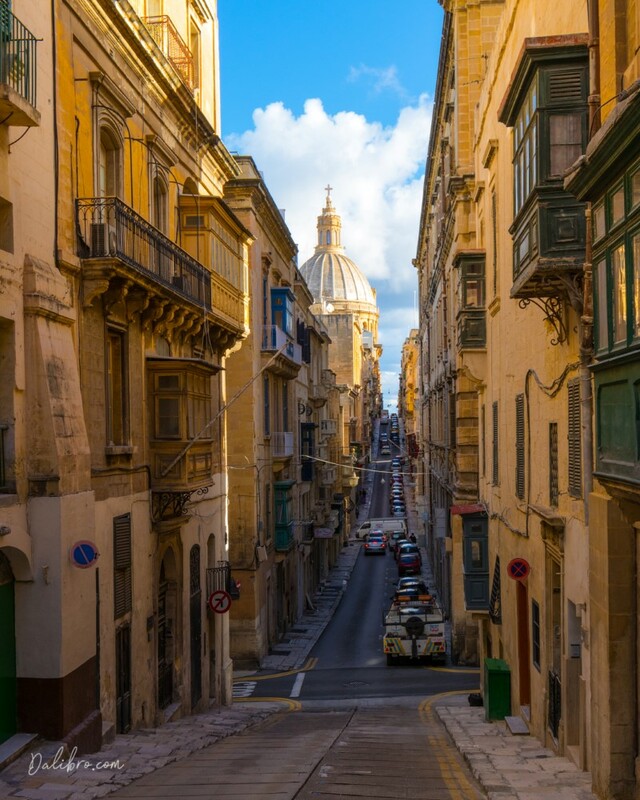 I only got to spend one day in Valletta and it certainly was not enough, must go back! Oh yes, really amazing place, I hope you’ll be able to come back one day! 🙂 Thanks for stopping by!